Just 11 months old, Jada Lauryn Taylor was the baby in the family before a tragic accident Thursday ended her young life way too soon. Jada's mother accidentally ran over the youngest of her four children with the family's SUV. "A lot of people have criticized her and the baby's father, but mistakes do happen," said Stacie Clayton, Jada's grandmother. It was early Thursday evening when Jada's father was outside with the children. Her mother had been washing clothes before deciding to wash the vehicle, but what Symone Stewart didn't know is that little Jada was following behind her. She started the engine and moved the vehicle up a few feet--that's when others started screaming. "They were hollering for her to stop and so when she stopped she didn't realize what she had done and she backed up, not realizing the baby was under the vehicle," said Clayton. A heartbreaking accident--one loved ones say has now put a negative spotlight on Jada's parents. "So I just hope people would be a little more sympathetic and respectful with what the family is going through right now because they are both suffering...they witnessed their daughter's brain matter laying in the driveway. Going through their own hell right now," said Clayton. 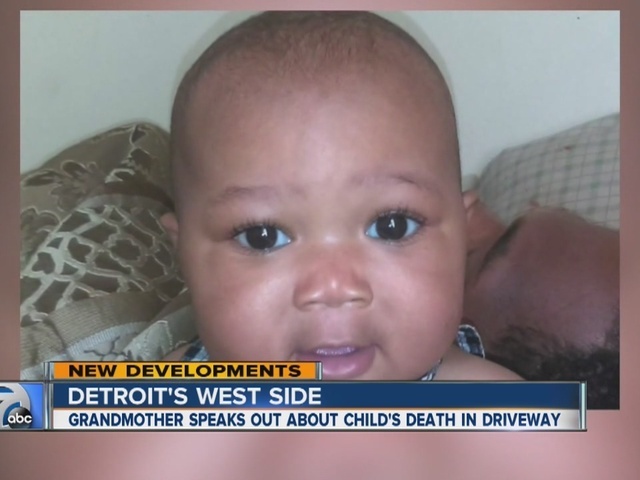 Jada's grandmother hopes what happened to the 11-month-old can be a reminder to parents to always be alert. "You have to be really attentive to your kids. Very active...move quick. Look at this and be more cautious where your kids are and what they're doing," said Clayton.